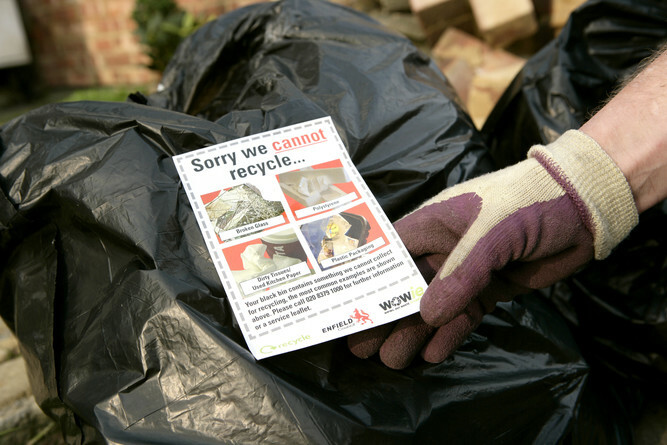 Crew member with black bin bags and 'Sorry we cannot recycle' information leaflet. There are print and web quality versions of this photo available to download. For certain photos, there will also be several different shots to choose from including portrait and landscape options.